The vulnerabilities include a buffer under-run vuln in Kernel.sprintf and RubyGems issues. Ruby 2.2.8 and 2.3.5 are also out for the same reason. Three metrics that can be combined to measure the maintainability of your code and find outliers of complexity. Cross-site scripting (XSS) is the most common web vulnerability and Rails applications are not immune. Learn how XSS can sneak into Rails apps and how to prevent it in this blog post. Want to check your code for XSS? 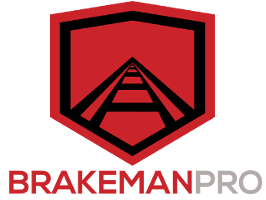 Brakeman Pro can help. Ruby’s algorithm for finding the definition of a constant is more complex than you might think. Is Ruby Pass by Value or Pass by Reference? An analysis of how arguments are passed in Ruby which, as you might’ve guessed, depends on many factors. A text editor heavily used by Ruby developers in particular. Get to the bottom of performance issues. Dive into distributed request traces, infrastructure metrics, and more. A Rails-free approach to a JSON API in Ruby. In short, jbuilder is your co-pilot. A look at several solutions to storing addresses for users. VividCortex is the best way to improve your database performance, efficiency, and uptime.